May 23, 2018 (TORONTO) – Chef Mark McEwan is teaming up with Lori Heller of Heller Productions as well as Ian Sparks and Matt Dales, Toronto’s premier event promoter, for the return of the second annualRosé Picnic. On Saturday, August 11th 2018, the immaculately restored Stanley Barracks at Hotel Xwill be transformed into a sea of pink and white. With unobstructed views of the city skyline, guests can celebrate summer and enjoy rosé all day paired with delicious food offerings from Chef Mark McEwan’s signature restaurants. Chef McEwan’s portfolio of exceptional restaurants will each offer a dish inspired by a signature menu item including Bymark’s infamous burger and ONE Restaurant’s crispy tacos. Chef McEwan alongside his executive Chefs Andrew Ellerby & Brooke McDougall will also prepare fresh, distinctive Pizza Romana served al taglio, from Fabbrica Restaurant’s newest location at the TD Centre. Pizza Romana is synonymous with bold flavour combinations and the thick yet soft and springy crust can stand up to a multitude of toppings which perfectly complements the diverse selection of rosé wines. Chef Sash Simpson of North 44 will also be catering the Rosé Picnic’s VIP section with a selection of passed appetizers and large sharing platters. Beyond wining and dining, guests can dance the day away to Canada’s top DJ’s including DJ Mark Oliver, DJ iKhan and Tom Wrecks. All guests will also have access to premium vendors and activations such as bocce ball in the Games Garden, make-up touch-ups with Lancôme, mini-manicures at the nail bar, strolling fashion shows, a Peller Estates Flower Wall & Flower Crown station, and refreshing Party Pops at the sweet-treat mobile cart. 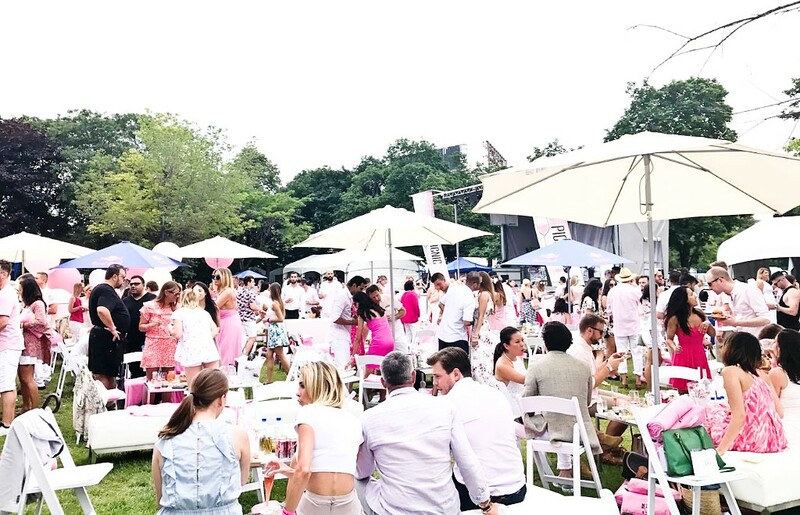 “Summer 2017 saw the inaugural Rosé Picnic take over the beautiful grounds of Fort York in downtown Toronto with over 1,500 people in attendance. 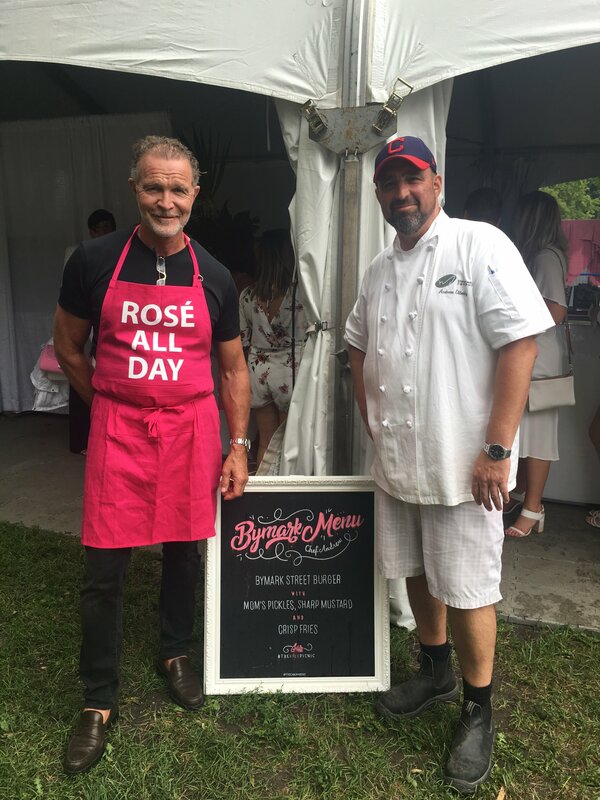 The McEwan Group looks forward to working with the Rosé Picnic team again, making this year’s festival even bigger and better,” says Chef McEwan. The Rosé Picnic is also happy to announce their partnership with the Feeding Canadian Kids charity. Canadian statistics reveal 1.15 million children in Canada do not eat dinner every day. Feeding Canadian Kids nourishes and nurture children by providing them with a healthy dinner. $2.50 from each ticket sold will provide a meal for a child in need. 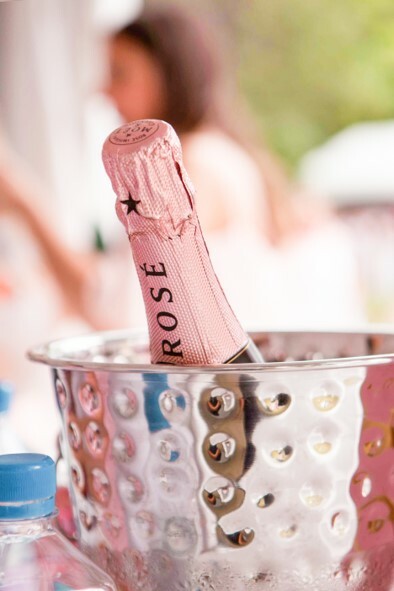 The festival’s featured rosé wines include Hogwash Rosé from Napa Valley and Moet & Chandon Rosé Champagne among other premium wines, beers and cocktails. The Rosé Picnic at Stanley Barracks at Hotel X has also extended its hours from Noon until 11pm. General Admission tickets range from $30 to $50 and VIP experiences from $1500 to $5000. Every guest will receive a break-free wine glass for outdoor enjoyment and the first 100 guest to arrive will receive a complimentary pink picnic blanket. The McEwan Group includes: North 44, North 44 caters, Bymark Restaurant, ONE Restaurant, Fabbrica Restaurant, Diwan Restaurant, McEwan at the Shops at Don Mills and McEwan at TD Centre. Led by Chef Mark McEwan, the group is driven by ingredients – the freshest and best produce available. Chef Mark McEwan began his career as the youngest ever executive chef at Toronto’s upscale Sutton Place Hotel. From here, he opened the ground-breaking North 44 which set the standard for Toronto’s culinary scene. Chef McEwan continued to push dining innovation with the launch of Bymark and Fabbrica. Inspired by global food halls, Chef McEwan then turned his attention to upscale gourmet food and opened McEwan’s Groceries. Now, Chef McEwan mentors budding chefs in his kitchens and also as head judge on Food Network’s hit series Top Chef.